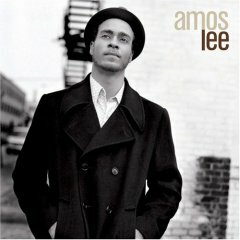 Amos Lee is another of my favorites. My only issue with him is that I have found his albums to be inconsistent. In other words, he doesn’t hit my mark all the time, but when he does, it is very good. He is out of Philadelphia and has recorded 4 albums. I highly recommend the first (self titled) and the most recent. All have some excellent tracks. This cut is off his new album “Mission Bell” and is a live version of “Jesus”. Q. What was the first “rock” double album? This entry was posted in Adult Alternative, Folk, Singer Songwriter and tagged Amos Lee, Music. Bookmark the permalink. It’s funny, I have the same feeling with Amos Lee. He only does it for me some of the time. Sometimes he has just the right combination of blues/pop with his great voice. Sometimes it just misses the mark. I also have a guess on the trivia question. Was it the Nitty Gritty Dirt Band? When he hits the mark he is very good.